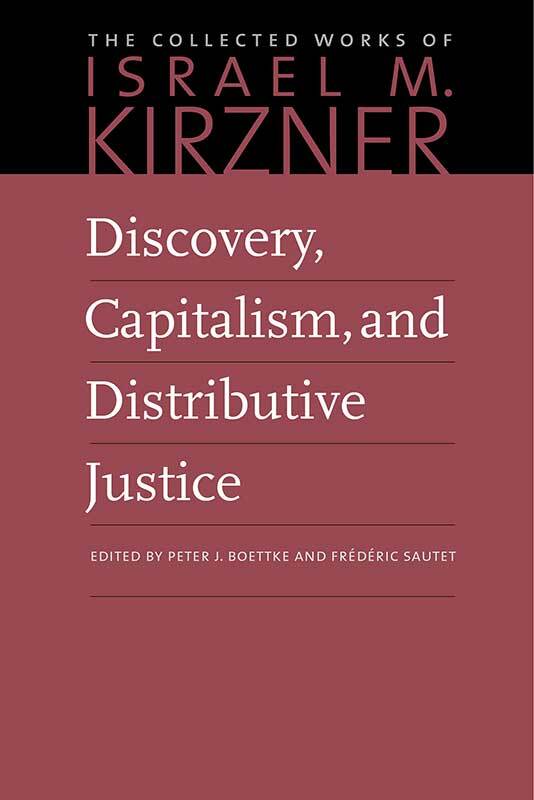 Discovery, Capitalism, and Distributive Justice makes Kirzner’s case for the idea that entrepreneurial profit is both essential for an economy and profoundly just. Asserting that the problem with standard criticism of capitalist income distribution is a failure to see capitalism as a “discovery procedure,” Kirzner argues that production and subsequent profit are neither automatic nor guaranteed. Richard Ebeling reviewed the work in 1989, saying, “the heart of Professor Kirzner’s argument is that every discovery of a new opportunity is the appropriation of that which had not existed before a human mind had seen the potential in that object.” Kirzner’s monograph is complemented here by three important articles on the subject of economic justice, a critique of Kirzner’s theory, and a reply from Kirzner to that critique. Kirzner’s finders-keepers rule of entrepreneurial profit and market distribution stands as one of the foremost defenses of the distribution of income and profit in the free-enterprise system. Peter J. Boettke is University Professor of Economics and Philosophy at George Mason University and the BB&T Professor for the Study of Capitalism at the Mercatus Center. His publications include Living Economics, The Handbook of Contemporary Austrian Economics, and The Elgar Companion to Austrian Economics. He has been the editor of The Review of Austrian Economics since 1998. Frédéric Sautet is Associate Professor at The Catholic University of America, School of Business and Economics. He is a specialist in Austrian market process theory and teaches entrepreneurship studies. He has taught at George Mason University of Paris Dauphine. He is the author of An Entrepreneurial Theory of the Firm and has published widely on entrepreneurship. Introduction to the Liberty Fund edition, five previously published articles not in the 1989 Blackwell edition, index.